Public transport in Prague is cheap, efficient and highly integrated. 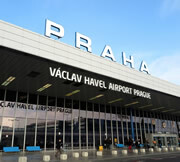 The easiest way to travel into Prague from Prague Airport is by taxi. 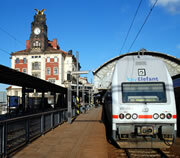 But once in the city and checked into your hotel, it is simple to travel around by metro and tram. There is no metro station at Prague Airport, so to travel into Prague by public transport requires taking a bus then a metro. If you have luggage or prefer a smoother journey, we advise booking an airport transfer. 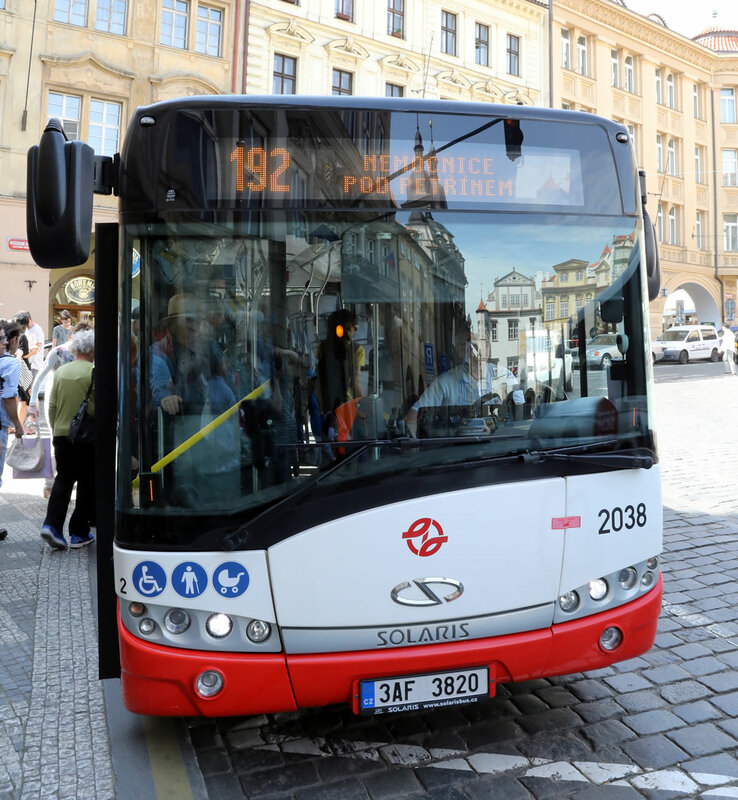 Route 1: Bus 119 from all terminals at Prague Airport to Nádraží Veleslavín metro station (line A), then take a metro to your destination. Route 2: Bus 100 from all terminals at Prague Airport to Zlicin metro station (line B), then take a metro to your destination. 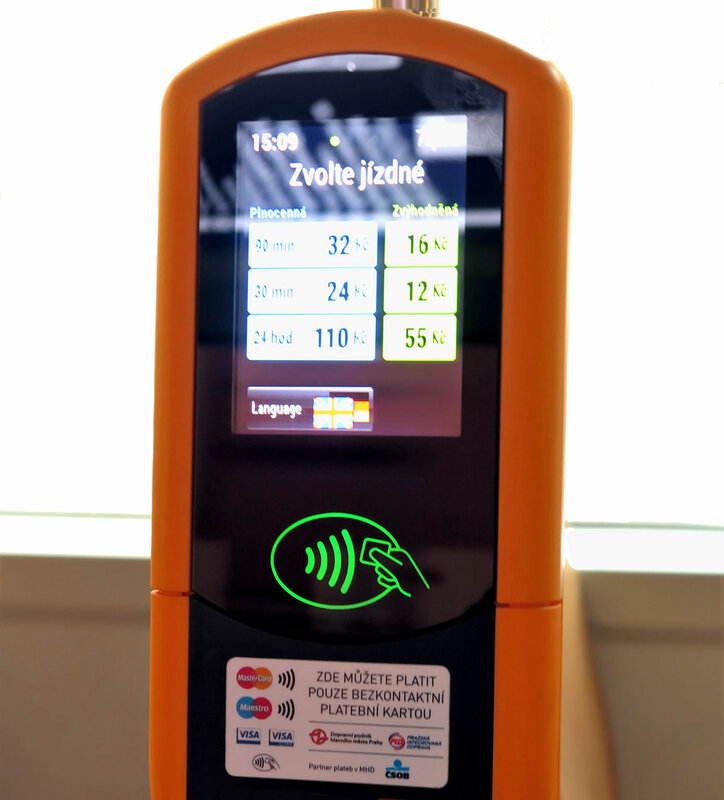 Fare: 32 CZK if you board the bus with a ticket (on sale at the Public Transport Information Centre at the airport, from the orange/yellow ticket machines located by the airport exit doors, and at the bus stop). 40 CZK if you purchase a ticket onboard the bus (exact change is required). Prague's city centre is compact, so once you have dropped your bags at your hotel it is simple to travel around on foot or by public transport (use taxis with caution - taxis hailed on the street can overcharge). A single ticket for the public transport network permits travel on the Metro, trams and buses for a set period of time. Plus it allows you to switch between the three transport modes. There are also 1-Day, 3-Day and 1-Month passes. Purchase tickets from metro stations, newsagents and Public Transport Information Centres, and from orange/yellow ticket machines located at major tram and bus stops, and inside newer trams. Public Transport Information Centres are open daily 07:00/08:00-20:00/21:00 at Prague Airport (T1 and T2), at Můstek metro station (bottom of Wenceslas Square, by the exit to 28. října street), and at Praha hlavní nádraží (Main Train Station). The centres provide tickets and maps for the public transportation network. Ticket validation: Validate your ticket by punching it in the orange machine at the top of the escalators on the Metro, and inside trams and buses. 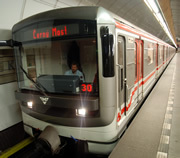 The Prague Metro covers all areas of the city centre, and operates 05:00-24:00. Metro lines run a service every 2-3 minutes during peak hours, and every 4-9 minutes after 19:00. There are 3 metro lines: A (green), B (yellow), C (red). 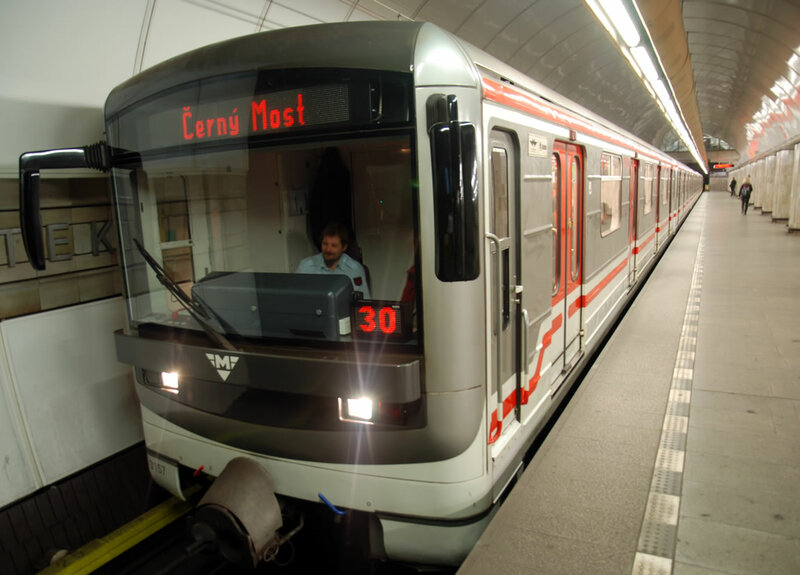 The Metro is safe and reliable, running at high speed from one side of Prague to the other. Prague Metro map | Prague Metro information. The tram network covers all areas of the city centre. Daytime trams operate 04:30-24:00. The most popular trams run every 4 minutes. Other trams run every 8-10 minutes during the week, and every 8-15 minutes at weekends. Night trams operate 24:00-04:30, and run every 30 minutes. 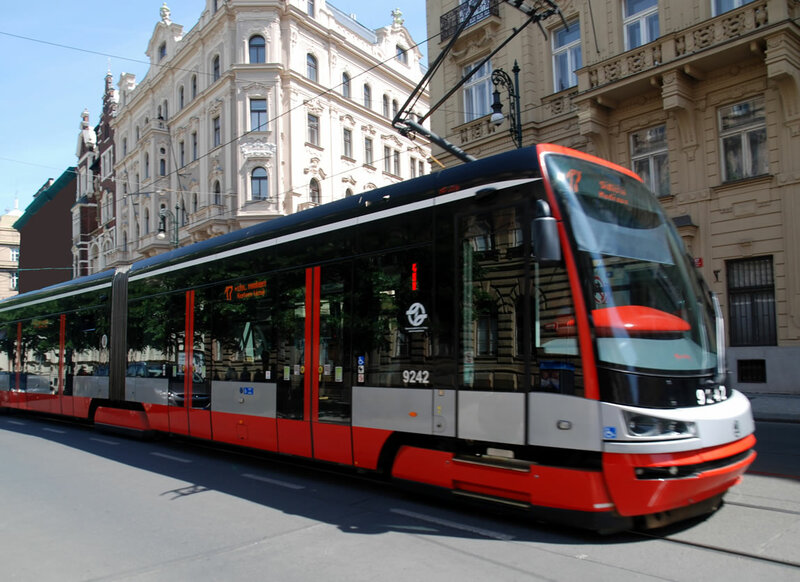 Most useful trams: Tram 9 runs from Wenceslas Square to the National Theatre, then over the river to the Lesser Town; Tram 22 runs from the National Theatre over the river to the Lesser Town, then up to Prague Castle. The bus network primarily serves the outskirts of Prague, areas where the Metro and trams do not reach. 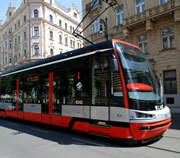 Buses often terminate at metro stations or tram stops in or near the city centre, providing people living outside Prague with an efficient means of travelling into the city. Travelling from Prague Airport into the city by public transport is one such journey (see above). Buses run every 6-8 minutes in peak hours, every 10-20 minutes off-peak, and every 15-30 minutes at weekends. Night buses operate 24:00-04:30, and run every 30-60 minutes. The funicular railway runs from Újezd in the Lesser Town to the top of Petrin Hill, with a stop half way at Nebozizek Restaurant. At the summit of Petrin, set amongst landscaped gardens, are the Petrin Observation Tower, a mirror maze and an observatory. It runs every 10 minutes in the summer, and every 15 minutes in the winter, in both directions. 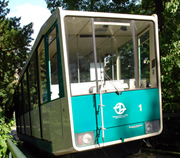 The funicular railway forms part of the Prague public transport network, so the same tickets and passes used on the Metro, trams and buses can also be used to ride the funicular (see public transport tickets). The main train station in Prague is Praha hlavní nádraží, which is near Wenceslas Square. Metro: Hlavní nádraží - metro map (line C). A second railway station is located just outside the city centre, Nádraží Praha-Holešovice. Metro: Nádraží Holešovice - metro map (line C). Check train times and book tickets at České dráhy (Czech Railways). Information is in Czech, English and German (select 'en' or 'de' on the top right-hand corner of the website). Or, buy tickets from any train station. Read our guide on how to get to Prague: Prague travel information.